Brief Description: YEAR 2012. HOURS 1931. 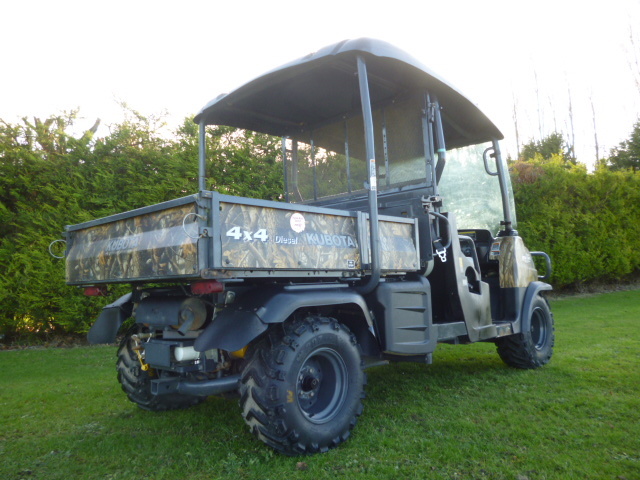 RTV 1140 BUGGY. 24.8HP 3 CYLINDER DIESEL ENGINE. 25MPH. TRANSMISSION VARIABLE. 4X4. POWER STEERING. POWER TIP. 2 OR 4 SEATER. 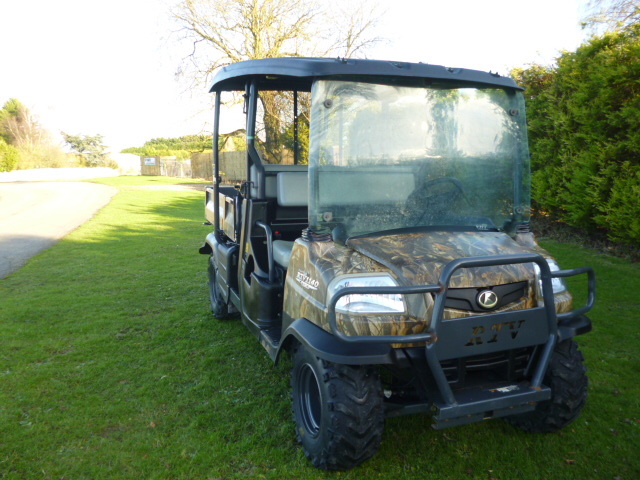 More Information: Kubota premium utility vehicle range, the RTV-1140 offers the ultimate in power and versatility, designed for heavy-duty work in the toughest environments. 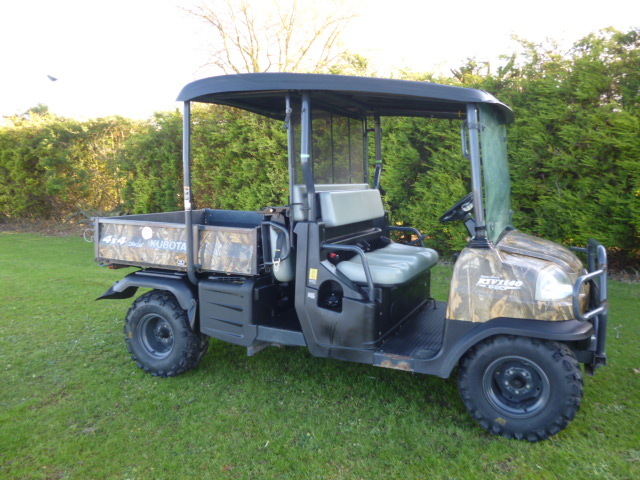 Powered by Kubota 24.8HP engines and featuring Kubota’s unique variable hydro transmission, the RTV-1140 delivers best in class acceleration, optimum traction and unrivaled control on rugged terrain. 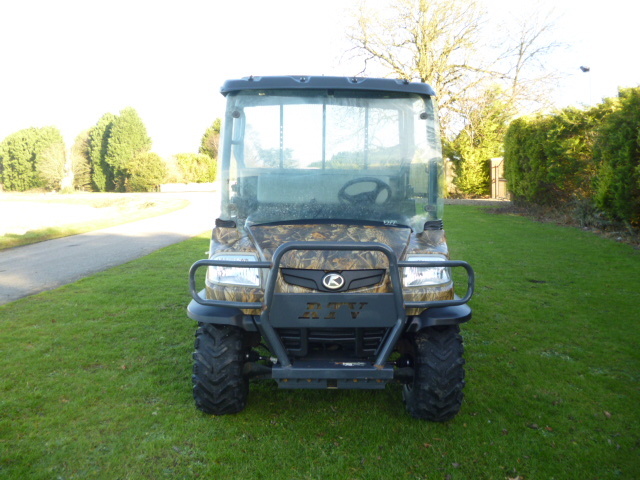 Twin Bench Versatility Ready for the season, the new RTV1140 offers exceptional versatility, power and all year round capability. Carrying up to 4 guns (plus dogs) comfortably, the RTV1140 is designed to work on the toughest terrains. 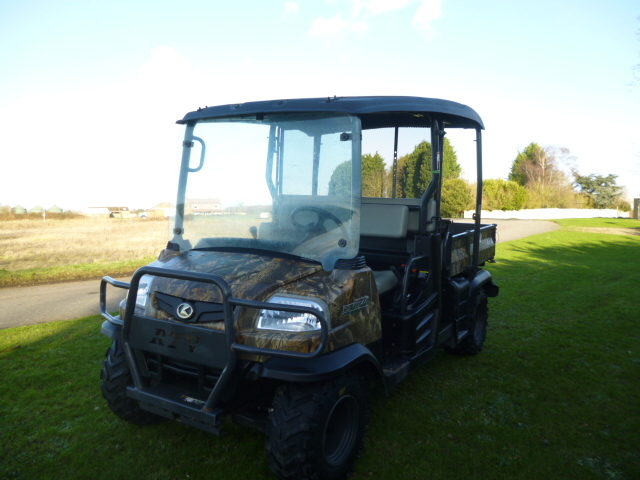 A powerful 3 cylinder 24.8HP engine combined with Kubota’s unique variable hydro transmission delivers excellent acceleration, optimum traction and unrivalled hill control. 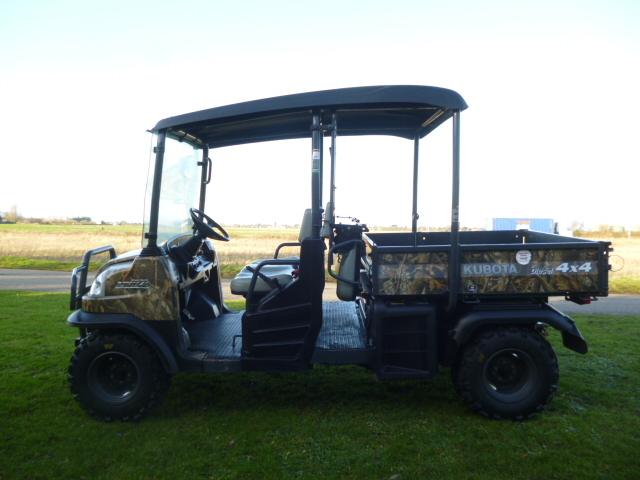 Whether it’s carrying guns to hauling heavy loads, the RTV1140 provides a flexible choice, converting simply in 3 easy steps to access a full cargo bed capacity.